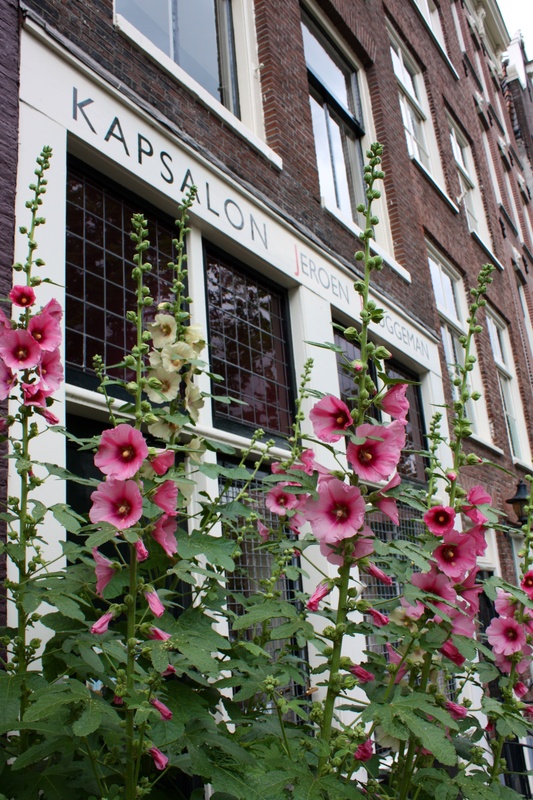 There are no front gardens in old Amsterdam. 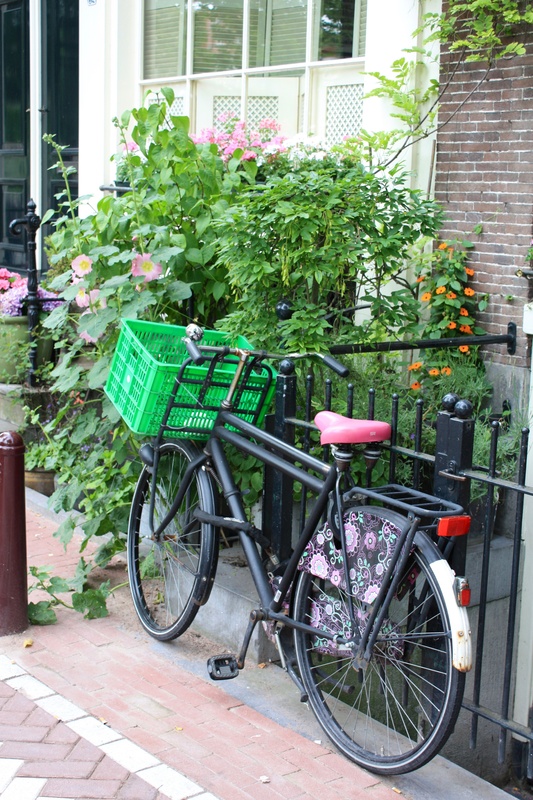 Instead, householders adorn their doorsteps with potted plants, or grow roses and ivy through gaps in the pavement. 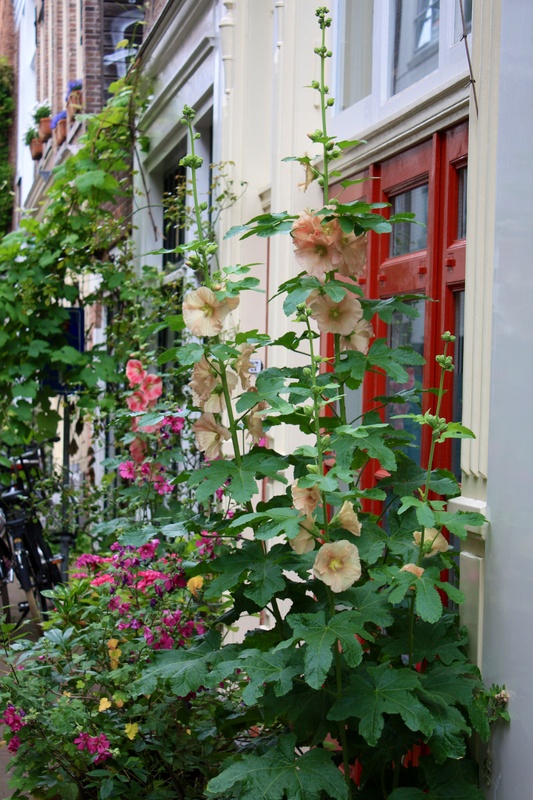 Ever the opportunists, hollyhocks also get in on the act, seeding themselves and then rocketing up between cobbles wherever they may. 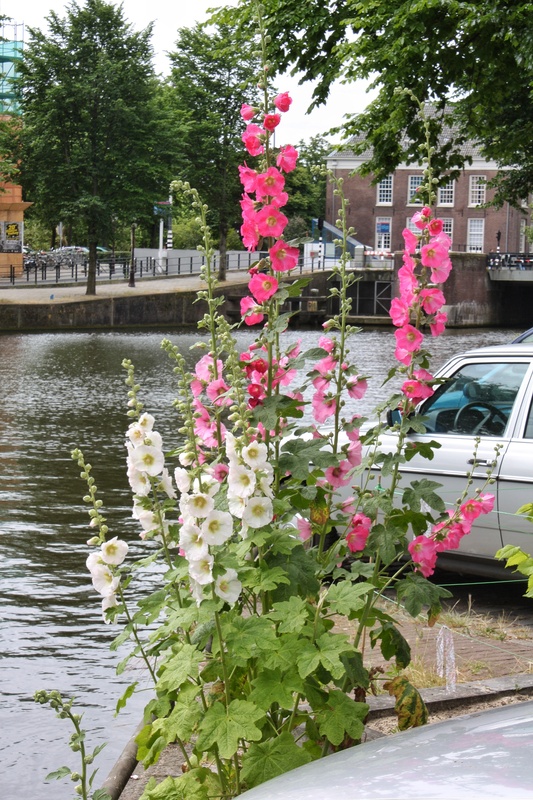 They dart between railings and through bicycle wheels, flaunting their crepe-paper flowers in shades of buttermilk, sorbet pink and rose. 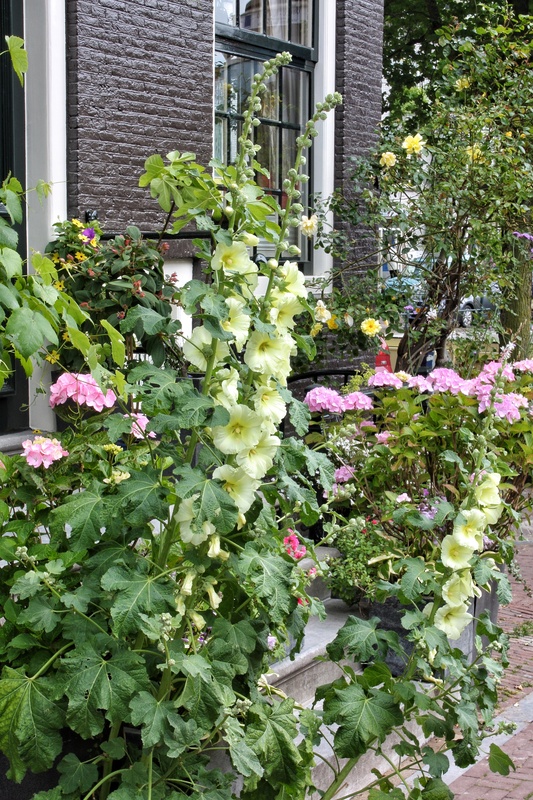 We should plant more hollyhocks at home; I had forgotten what fabulous, gregarious flowers they are. I hope you enjoy them too. Lovely! 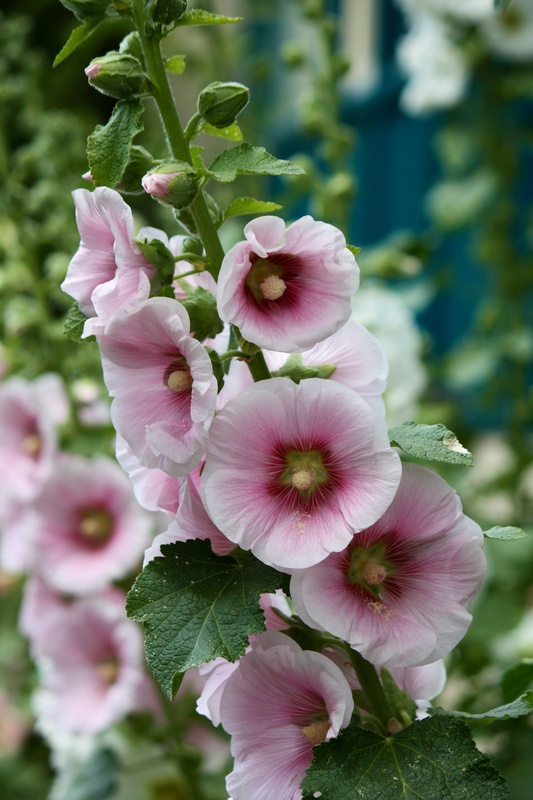 .. and I love hollyhocks too. I had planned a similar post recently about The Hague. Now I must make sure I do it! Thank you.